I have had the privilege of being able to travel to many countries throughout the globe. Each country I have been to all had the similar martial arts history. Judo was first introduced along with Jiujitsu, and then came Karate, which was the byproduct of Japanese imperialistic regime during the early 1900s and lasted until the end of WWII. Then came along Kungfu as well as Tae Kwon Do in the 70’s. In America during 1970’s, due to the TV series, “Kung Fu” and Bruce Lee’s films, Kung Fu became very popular. 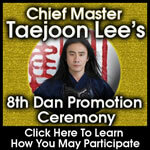 Asian culture was new to America and was slowly being accepted through the popularity of martial arts. I came to America in 1974 and I grew up in predominantly white neighborhoods. The Asian ethnic communities were small and scarce. The majority of Caucasians could not identify the different Asian races and we were all clumped together as either “chinks” (Chinese) or “nips” (Japanese). Then of course the “gooks” during the Vietnam war. And, these terms were not used exclusively for each race; rather it was used interchangeably to describe any Asians. Martial art was relatively a new thing in America and the only terms that the public was familiar with was Judo, Karate, and Kung Fu. So, many of the Korean martial arts had to refer themselves as “Korean Karate” and since we were both soft/circular and hard/linear, we called ourselves “Karate/Kungfu.” The term martial arts was rarely used. 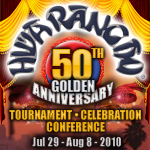 Even the Yellow Pages had all the different martial arts listed under the heading of “Judo.” It was not until the 80s did they change it to the appropriate heading of “Martial Art.” Many people back then mistakenly thought we were a Chinese restaurant with the name “Hwa Rang Do,” and we are still mistaken occasionally. 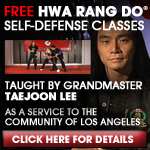 As we tried to find our identity and place as a unique form of martial art within the new country and culture, so was I searching to find my identity, my source of empowerment. I lived through these prejudiced times, growing up in Orange County and let me tell you, it was not pleasant. I was reminded daily that I was different and ridiculed for something that I could not change even if I wanted to. I remember as a freshman in high school, the kids all thought that I was Hawaiian as I had a beach bleached long hair from surfing. This was accepted as cool and really the only way for me to make friends, especially girlfriends. Of course the other part was because I could fight. I remember my father carefully explaining the social/cultural differences and adamantly reminding us not to do anything to offend the white people. In Korea, we make noise while we eat. It shows how much you are enjoying your food and it’s well received. However, he told us never to make loud noises when we are eating and chewing our food. We could not eat our primary staple diet of “kimchee” in the morning or for lunch and only for dinner, because the garlic smell was offensive to the white people. What’s even stranger now is that when I visit Korea, although I am aware of the Korean eating etiquette I am also offended and bothered by the noises people make while they are eating and chewing. I guess after 35 years I am no longer Korean, but Korean American. There are many other stories of racial discrimination, but I am not here to bash the Caucasian people for their ignorance as they were the majority and this kind of mal-treatment towards minority racial groups happens all over the world. However, I am here to bring to people’s attention the regression of our social evolution and that we are not living in a third world totalitarian nation, but a democratic nation of the most eclectic ethnic mix all seeking the ideal of FREEDOM! Then, the highly popular brand of clothing, Abercrombie & Finch, came out with a line of t-shirts making fun of Chinese stereotypes. Shirts that have slogans across the front in big bold letters, “Two Wongs Don’t Make Write.” What made them even consider this as an option as one of their biggest markets were Asians? Soon after, the Asian community rose up against the Abercrombie & Finch and they terminated the line. I wondered even in this PC era, how could such a thing happen from such a large corporation with so many levels of approval before it finally gets to the mass market. It was unbelievable! Traditionally, Asians have remained quiet, as we are most conscious of offending others. As a product of assimilation, many Koreans today cannot speak or write Korean as their parents made them learn English as quickly as possible when they were children and did not reinforce learning the Korean language. I think we are out of the dark ages and into the light of global communication and no race should need to hide their culture, their way of life in fear of ridicule and discrimination. We as Asian Americans have paid our price to be Americans from working the railroads, to the sugar cane fields of Hawaii, to becoming one of the most educated and economically strong ethnic groups in America. We must evolve, progress, grow and change together for the better. We must elevate ourselves out of racial tolerance to respecting racial differences. In my opinion, we can only achieve unity and racial harmony when we are able to respect each other’s differences and not deny one’s identity, source of empowerment. It is due to our individual and racial differences that make living as a global community so exciting, enjoyable and at times challenging. Jerry Weintraub, who was the producer of the original ‘Karate Kid’ and co-producer on this re-make along with Will Smith’s company, in an interview with the Wall Street Journal admitted that this issue was discussed. Karate, an art and cultural treasure to the Japanese, in America has been claimed as a “brand” to be misrepresented for the purposes of marketing and profit. Every single martial arts studio in America (except for mine) has been convinced to herd children into special screenings of the new ‘Karate Kid’, use their kids as recruiters and have them bring their friends to these screenings. This creates a new batch of fresh leads for the studio owners to recruit from, perpetuates ignorance into the next generation and inflates the profits of the production companies through the strengthening of a money-making “brand”, at the expense of our cultural identities. There’s nothing wrong with making money or a savvy marketing campaign, but why can’t we respect each other’s race and culture? It’s a remake and they are banking on the success of the original “Karate Kid,” which I feel is something the industry really needs amidst the popularity of MMA and no-holds-barred fighting that’s become so prevalent. We need this, if it’s anything like the original. But, not like this…. I argued that no kid today remembers the original “Karate Kid.” They are more familiar with “The Kung Fu Panda” and should use Kung Fu. Ah, then the reply was that our generation who do remember are the parents and they are the ones who will take their kids to see it. Wow, marketing genius! It’s all for money that we as Asians once again take it. I have even heard from other Asians who have said that they don’t care whether they mislabeled or not as long as more Asian culture, stuff, things are exposed to the masses. No matter how much money it should never overrule integrity and honor and this is the cornerstone of what Martial Art is. Wrong is wrong and yes two wrongs don’t make right! I propose that we boycott this movie and deliver a loud message to “Hollywood” and to Jackie Chan, that we as Asians are not going to allow disrespect to our cultural identities and that we may be quiet, but when we roar it will be ferocious. Even in our greetings we are humble and not entitled. As the western greeting is a handshake, extending the right hand to show that there’s no weapon to kill you and our eastern greeting is the bowing of the head to show humility, looking down as to say please don’t behead me as I take my eyes off of you. It’s time we stand up for our beliefs and gain the respect we deserve and although we may be humble, we are not stupid. I was entertained by the new Karate Kid; and deeply bothered by it at the same time. I could not put my finger on it. Something was wrong with this picture. Sure, it was a great ‘feel good’ movie. Of course the martial arts was pure ‘Hollywood;’ OTT (over the top) as the British would say. Without question not only the form of fighting is incorrectly described, but come on! Where on earth would you allow kids 12 years old to pound themselves like this, without physical protection, in an arena full of adults. Ancient Rome? What Mother (as in the film) would sit idly by and watch her Son be physically punished and not stop the fight? How could any training facility, for any sport, permit the ‘close combat’ type of contact shown in the film between adolescents? Answer to these questions; China! 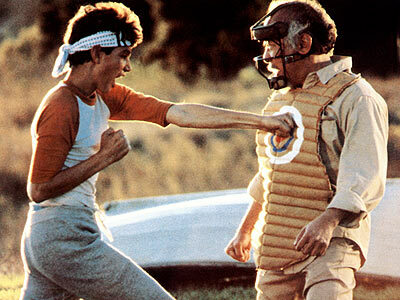 Karate Kid is a white wash of the conditions that really exist in China and not simply a mislabeled martial arts film. It is a fawning ‘commercial’ for the propagation of the power of the Chinese Communist Party. Hollywood, as it spectacularly does elsewhere on the planet, overlooks a lot when it wants to help deliver a message it supports and today, in the 21st Century, it loves China! And ‘go figure,’ as they say in the USA! China! A country with no free elections. A place where arrest can be made at the beck and call of a political party. China, where from what I read in journals, salaries are now being “doubled” in electronic factories; to $295 a month! (Do the math and think about this a moment, if you are currently employed in the West in a similar job). And don’t forget about the ‘Stick People.’ These are the country dwellers who are second class citizens in their own country. They physically carry the loads for small business and local industries on their backs and are not allowed to officially relocated to or educate their children in the cities where they work. In fact the same benevolent Chinese government depicted in the film has started to set up, dare I call them by this term, ‘concentration camps’ where nightly police and security guards lock up the country dwellers for the night, so great is the gap between the City Chinese and their brethren in the country. I can go on for ten pages in trying to explain what a travesty China is for its people and what a threat it is for this same “planet” Jackie Chan wants to save by turning off the power to a hot water tank (see the movie). This was a shameless Hollywood plug for Global Warmers. Yes, China, were you are given a quota of electricity for free (also plugged by the firm) and told to turn off the power to your heater once done showering, allowing water heated inside an insulated tank to cool – Good. America where this insulated water tank is maintained at a temperature selected by the person who pays the electricity bill – Bad (PS that Western person in this comparison makes a lot more than $295 per month cleaning dishes). But I digress; China is trying to save the planet? Which planet? Earth? And what planet is Will Smith living on to provide such a blatant plug for a totalitarian, communist Government, in which he would never be allowed to live as he lives, earn the money that he earns or promote his Son’s career as he has done in this film (and his Son has a brilliant career ahead of him; he is a good actor). The (new) Karate Kid is a travesty, worst it is criminally lacking in balance and shows the Government which the greatest threat to any number of the Worlds problems as benign, caring, companionate, effective and efficient. None of this is true and Hollywood should be ashamed of itself. But, this emotion has never existed under the skin of any director, producer, star or film mogul and never will. I want a movie made as well; The Salami Kid. I came to America at the age of 7 from Venezuela. I was an immigrant from an Italian family, who had left Italy in 1946, moved to South America, then to America. I was bullied and beaten every single day for most likely at least the first year I was in America. And, trust me, it was close combat and there was blood. Plenty of blood flowed and I fought and won my fair share of contests, not with Kung Fu but with my bare fists. In the end I too, like Will Smith’s son, earned the respect of the gangs that tormented me. Or, maybe they just got tired of hitting the same face and fed on some new immigrant, I don’t know. Most likely it was a combination of both. But I was the Salami Kid! I was also proud of my Italian heritage but fiercely determined to be accepted by America and Americans! I was not going to be scared and this part of the movie is spot on, 100% dead right! The person bullied wants most of all not to be scared and the only way to be accepted is to fight and win, period. I did. I won. I went through High School, applied and was accepted by the United States Military Academy, at West Point, and graduated high in my class. I proudly wore the uniform for 10 years, left with a Masters Degree and now work as a principle Engineer on the rebuilding and expansion of the Panama Canal. I am married 27 years to a wonderful American Lady, have four children, two with college degrees, own property, travel internationally as I please and earn a good living. That is my story and that story, the quintessential American success story, is the one that needs to be told, not this politically correct, white wash of a brutal, communist Government, where, if I immigrated today with my family (bold added) NONE OF THEM would rise within the Chinese hierarchy to anywhere near the level I have achieved, Karate, Tae Kwon Do, Judo, Jo Jitsu, Kung Fu, ALL of them used together! Hollywood, tell my story. Tell the American story. Tell the world a little of what is right with America. While you are at it, white wash it just a little, will you please. For once, show America in a positive light. If China can be shown so magnificently, then what can Hollywood do for the Salami Kid! As a martial artist, I too was upset about the naming of this movie. I practice jujutsu, which America believes is a Brazilian ground-fighting system. I think that many of us in the martial arts community took offense to this. There is prejudice and racism, and everybody has the right to their cultural identity without apology. However, I need to take exception to some of what you’ve written. I would not think of entering a person’s house in Japan without removing my shoes. To do so would be culturally offensive. Further, it would be ridiculous for me to assert that I should be allowed to do so because I am an American and it is my cultural heritage. I have been told to my face by people in Ilocos in the Philippines that I needed to learn the local language. Today, those in America who say that people who come here should learn English are branded as racist. I have traveled the world, and America is by far the most tolerant country I have experienced. I have never seen a restaurant or bar with a sign reading “no foreigners” anywhere but in Asia. There is a growing idea that America doesn’t have it’s own culture and that other cultures are somehow more important. This is a dishonorable idea when it comes from Americans and an ethnocentric and racist ideas when it comes from outside the country. America has a culture all it’s own, formed over several centuries by those who immigrated here. It is not “white culture” or “european culture” but has been influenced by everyone who came here – even as slaves or indentured servants. As evidence, look at American clothing, food, music, movies, television. These are artifacts of a multi-ethnic culture. The English language itself has words from nearly every language in the world. ALL cultures influence social pressure to conform to norms. Whether right or wrong, act out of line with the norms anywhere in the world and there will be social repercussions. Yes, there is racism, which I have also experienced as a Caucasian in Asia. The difference, to me, is that racism is the judgment of a person merely based on their perceived race. This is wrong because it is something they can’t control. Sexism, ageism, prejudice against the differently abled – the same thing. However, you do have control of your behavior. If I go to a country other than my own, and refuse to at least respect their culture, I can expect to be treated in a way I may not like. Such are human beings. I Love The Martial Arts And Respect And Believe You Are Absolutely Right!!! 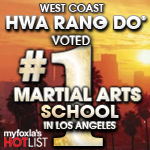 Hwa Rang Do I Bow!!! In Respect And Say Keep Doing What You Are Doing. In the new Karate kid Jaden smith is called the karate kid because he learned some very poor karate from his uncle. 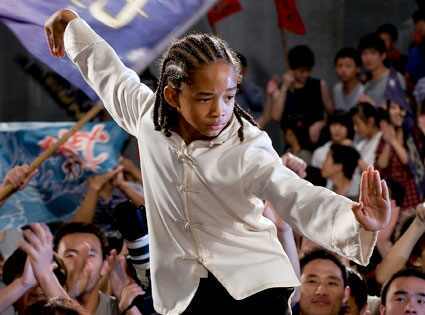 (similiar to how Ralph Macchio learn karate from the YMCA) It is clearly stated in the movie that Jaden is learning kung fu. I’m paraphrasing here, but I believe one of the lines is “This is china everyone knows kung fu”. I know that sounds racist towards the chinese, but Jaden says it in order to convince his mom (a typical ignorant american) because she though he was just learning to fight for street fighting.